Apple has sent out invitations to this year’s iPhone launch event, September 10th as expected, but in true Apple form, they left us with a riddle to decipher, and a debate over what it means. All that is clear and proven is that we will se an event September 10th from Apple’s Cupertino headquarters (at 1 PM), and we will see the release of iOS 7 along with the iPhone 5 something, or some form of new iphone. 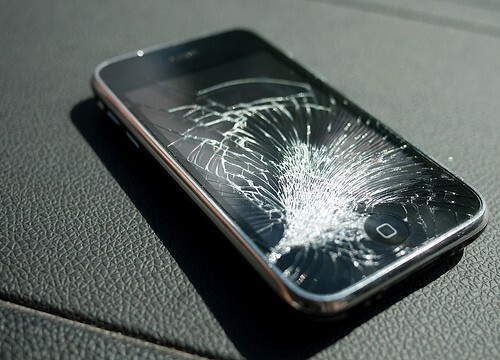 I’m also hoping for the reported fingerprint scanner, but I’m doubtful. 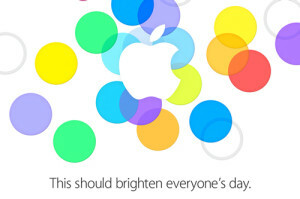 The invitation reads “This should brighten everyone’s day”, and displayed is the Apple logo flanked by bright and colorful little translucent circles. The question is, what does it mean? All interpretations include mentions of the iPhone 5C. There may in fact be a low-cost iPhone, but it will not be called the iPhone 5C, and I doubt it will look as reported. As explained here, the “leaked” photos were clear fakes. Of course, these colors represent the spectrum of case colors for your new iPhone. Only two of the circles are green, which Greenpeace should take notice of as it means that the new iPhone is ruining the environment. The four empty circles are representative of the loss of Steve Jobs, Scott Forstall, John Browett and (most recently) Bob Mansfield from the executive ranks of Apple. Blue is the most prevalent color on the invitation, which proves thatBondi Blue will be one of the colors for the new iPhone. The phrase “brighten everyone’s day” is all about the new display technology for the iPhone, which will be incredibly readable in full sunlight. The fact that Apple couldn’t come up with a color for its logo in the center is a sign that the company is fresh out of innovative ideas. Tracing the path of the colored dots reveals a new gesture that’ll conjure up the spirit of Steve Jobs. The dots are stylized fingerprints, meaning that the new iPhone will feature a fingerprint-authentication feature. The dot-filled invite also suggests iOS 7 will be sponsored by America’s favorite candy, DOTS. See Android KitKat for context. The thin font used on the invite hints at a thinner bezel for the iPhone display. The multiple colors used on the invite suggest Apple will surprise us with multi-user support in a subsequent version of iOS 7.x. Those round circles are indicative of pixels on the screen of Apple’s long-awaited HDTV, which will be known as “Munstervision” in honor of the one man who believed in the product, Gene Munster.